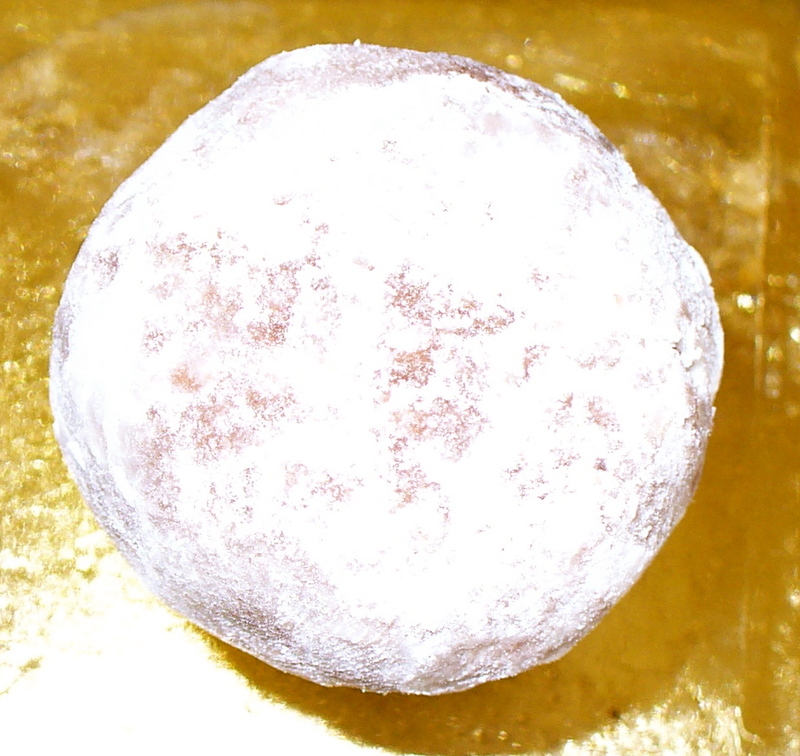 It’s that time of year to consider gifting, sharing, celebrating with some St. Bernard Love of God Bourbon Balls. Here at Joyful Hermit’s happy hermitage, the best of ingredients are now on-the-ready to make these potent love bites for anyone desiring. Joyful makes each order individually. The good folks at the local liquor store tried to tell JH that top-grade bourbon is not necessary–just go with the cheap stuff. But, no! Love deserves better than that, does it not? St. Bernard spent his entire life seeking to love God and others, so how could Joyful Hermit pass off these little namesakes with less-than. The fellas got the idea and highly recommended Ridgemont Reserve 1792. JH is also keen on Four Roses (not the lesser quality) but the “single barrel” batch. A dear friend in Louisville who knows his bourbons says this is outstanding. JH also has available Maker’s Mark, perhaps more commonly known and also a smooth bourbon. Shipping costs vary but run approx. $6. You may even choose the bourbon: Ridgemont Reserve 1792, Four Roses Single Barrel, or Maker’s Mark. 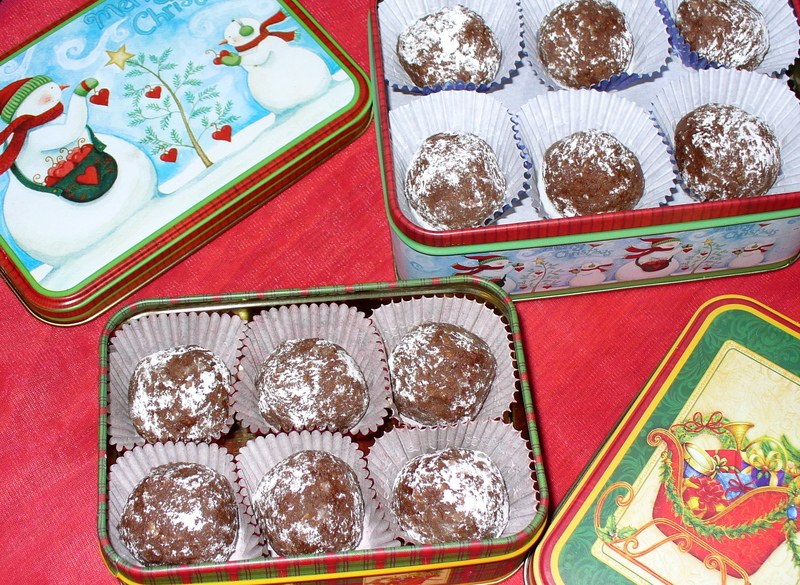 Choose which tin design (from photo above: Snowmen or Sleigh). How to order? Contact Joyful by email: joyfulhermit@gmail.com with amounts and selections. Use the Paypal button on this page to make the donation once you and Joyful Hermit have the order particulars worked out. Yes, this is rather a rustic way to order in today’s high-tech world, but it is the best for now. Truly, Joyful Hermit is blessed to be able to manage this much on the computer.